• Enabling a $330 billion per year global space industry that has fundamentally improved our lives, while creating employment for hundreds of thousands of American workers. These jobs are spread across the country in every state, support a highly skilled and well paid workforce, and help maintain US global competitiveness. • Advancing knowledge, science, and the creation of new technologies, which drive countless industries that deliver tremendous economic and social benefits. • Revolutionizing US national security capabilities from the high ground of space giving the US armed forces a significant advantage in any conflict. This has contributed to US influence and soft power around the world, also aiding our allies and deterring adversaries. • Inspiring generations of Americans to study science, technology, engineering, and math (STEM) and pursue high tech, high wage careers ensuring the US remains the most technically advanced nation. Many students who ultimately go into other fields are first inspired by space programs. 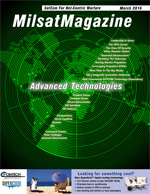 • Enabling and extending global communications capabilities to every point on Earth. • Providing essential surveillance of landforms, the atmosphere, and oceans to produce data for agriculture, mining and drilling, urban and other planning, and for critical weather forecasts and global intelligence, saving countless lives and billions of dollars annually. The US is well-served by its three distinct yet interrelated and complementary space portfolios. These efforts are supported by networks of academia, industry, and national laboratories, which must be enabled by the federal government in order to ensure continued US leadership. Civil Space includes the National Aeronautics and Space Administration (NASA), responsible for the exploration and development of space and advanced technologies for the expansion of knowledge and the benefit of life on Earth; the National Oceanic and Atmospheric Administration (NOAA), responsible for observing the Earth environment and understanding and forecasting planetary phenomena, like weather; the US Geological Survey (USGS), which operates the Landsat Earth-observing satellites; and the Federal Aviation Administration (FAA) Office of Commercial Space Transportation (AST), which regulates commercial space launch and re-entry to ensure public safety. Commercial Space comprises those enterprises that own and/or operate space capabilities, including satellites and ground systems that provide products or services such as Earth imagery, satellite broadcasting, and a wide range of telecommunications. It also includes the launching of satellites, cargo, habitats, and soon people for commercial purposes. Examples of programs under development include NASA NextSTEP and asteroid mining. Customers range from individuals to corporations, researchers, academia, and government agencies. National Security Space includes all military and intelligence community uses of space-based capabilities, such as threat detection, military weather forecasting, and reconnaissance activities. The US Air Force is the Defense Department’s Executive Agent for Space, providing and acquiring critical capabilities and services to national leadership and all branches—from secure communications to precision navigation, timing, and targeting. The National Reconnaissance Office (NRO) provides a similar function for the intelligence community. Other agencies involved include the Defense Advanced Research Projects Agency (DARPA) and the National Geospatial-Intelligence Agency (NGA). Despite the amazing benefits space has provided our nation, maintaining our space leadership is not guaranteed. Four key issues spanning Civil, Commercial, and National Security Space threaten US leadership and require immediate attention. US Government research & development (R&D) as a percentage of our Gross Domestic Product (GDP) has fallen by 60 percent since 1964. Adjusted for inflation, NASA’s purchasing power is below what it was in the early 1990s. By contrast, China’s R&D investment is the fastest growing of all advanced countries as China seeks to counter US space advantages and pull away our traditional partners. US military space assets need modernization and recapitalization to keep up with peer and near-peer threats. Despite its significant accomplishments, NASA’s funding has fallen to historically low levels (adjusted for inflation)—below where it was during the mid-1990s—squeezing the agency’s ability to develop new missions for human exploration, astronomy, planetary science, Earth science, solar science, technology development, and aeronautics research, which has led to cost and schedule inefficiencies for ongoing programs and missions. FAA AST plays a critical role in providing timely review and approval of launch permits, licenses, and spaceport licenses for the commercial space industry and its budget will constrain its ability to fulfill these responsibilities. For this growing sector to continue on its current trajectory, it is critical that FAA AST have the authority to regulate and the resources it needs to work with the industry in a manner that will continue to promote growth and ensure public safety. Fourteen countries—including North Korea—operate their own launch vehicles and more than 100 nations have some type of space program. The two most prolific commercial launch vehicles are operated by Europe (Ariane) and Russia (Proton). At least four countries are presently investing billions of dollars in the development of new launch systems. The US is beginning to win back market share of commercial satellite launches for the first time in over a decade. Policies that promote open competition and innovation should be prioritized to maintain this positive trend, but mission assurance for national security launches remains paramount. Currently, only China and Russia are capable of launching humans into space. The US now depends upon Russia to launch American astronauts to the International Space Station (ISS). Between 2012 and 2017, NASA will pay Russia over $2.1 billion to ferry astronauts to and from the ISS. Fully funding NASA’s commercial crew program to restore US capability for independent access to the ISS and Low Earth Orbit (LEO) remains paramount. Space is an increasingly congested, contested, and competitive domain in which space-based assets are threatened by orbital debris as well as cyber and kinetic attacks. Moreover, there is risk introduced by both unintentional and intentional interference (jamming) of radiofrequencies by both terrestrial and space-based systems. This puts human missions at risk and threatens the safety of all space platforms. Commit to predictable budgets, fund robust investments, promote innovative partnerships, and repeal the Budget Control Act of 2011. The federal government should authorize, appropriate, promote and manage US space programs for long-term viability and sustainability. In recent years, our space programs have been hampered by a lack of long-term budgeting and planning, which impedes cost-effective management. Already, existing systems and programs have been delayed, curtailed, or placed on operational hiatus. Uncertainty caused by future potential sequestration of US space budgets will wreak havoc on government space programs, dissuade private sector investment, and place the space industrial base and workforce at risk. Historically, healthy government investments and partnerships encouraged increased industry R&D investments as well. Consequently, the US needs to continue to promote public-private partnerships in addition to strengthening investments in R&D. The resulting innovation and competitiveness will strengthen our industrial base and maximize the impact of taxpayer dollars. Continue global space engagement. The ISS is the most visible example of the successful use of space programs to develop and sustain international collaborations and friendly, useful intergovernmental relationships. In many respects, the ISS is the most vibrant example of successful international public and private diplomacy, demonstrating the importance to the US of space programs for achieving national purposes. The ISS is but one example. Today, our international partners continue to look to the US for leadership and direction. Additional examples such as the European-provided service module for NASA’s Orion spacecraft, now in development, as well as European investments in the Dream Chaser ISS cargo vehicle and the continuing. European interest in lunar exploration all represent further steps in international partnership for beyond LEO exploration. Likewise, the Department of Defense has a long history of successful military-to-military site visits, personnel exchanges, and various other trust-building engagements with friends, allies, and adversaries. US Strategic Command and US Air Force Space Command, in particular, carry out important global engagement with space peers and competitors, which also contributes to overall US security. The Space Launch System (SLS) and the Orion Multi-Purpose Crew Vehicle are NASA’s next-generation human transportation systems to explore farther into the Solar System than ever before. These programs have enjoyed bipartisan and bicameral support and have made significant progress toward a renewed US capability to send astronauts beyond LEO for the first time in more than 40 years, opening the door to missions in cis-lunar space and eventually to Mars. NASA’s Commercial Crew and Cargo programs have also received bipartisan, bicameral support. Commercial Crew is the logical progression of the agency’s Commercial Cargo program, enabling multiple commercial companies to operate cargo transportation to the ISS. Robust and competitive access to the ISS for cargo and the new crew vehicles that will once again launch Americans from American soil provides a new model for ISS access while strengthening the industrial base and helping to enable new commercial space services markets. Encourage the continued use of fully competitive, innovative partnerships. The US Government needs to actively encourage the continued use of fully competitive and innovative partnerships to enable private industry to grow and create capabilities that will enhance and support government endeavors in a safe and affordable manner. Maintain, strengthen, and grow the domestic industrial base. The US space industrial base has been the foundation of our nation’s continued success in space. Declining budgets and reduced space initiatives have combined to create increased pressure on the industrial base with increasing difficulties for the smaller suppliers. In response, the US Government is exploring acquisition reform and efficiencies, and has begun to transition traditional responsibilities for well-established capabilities to the private sector. Innovative partnerships should continue to be utilized as a way to engage industry in the development and acquisition of groundbreaking and mature space capabilities as well as traditional and emerging space services. The US Government should also strive to protect American industry from international non-market economy competitors. Commit to a robust national security space program that maintains US dominance of the high ground in space. The US Government should provide increased resources for national security space and launch programs, including the use of innovative partnerships that support, enable, protect, and connect our national leaders, our warfighters, and our allies. It should also ensure that these programs enable unmatched global capability to counter nation state and non-state threats and are able to operate effectively in an increasingly contested space environment. Maintain and expand internationally harmonized spectrum access for space. Commercial, Civil, and Military space all require access to spectrum in order to deliver their services, operate safely, and meet their mission requirements. Given the significant infrastructure development and investment, it is critical to have predictable and stable regulatory access to spectrum. Define and commit to new missions to expand the frontiers of science. Through American space leadership and international cooperation, we will continue to dramatically increase our understanding of our Solar System and the universe and gain a better understanding of the complex oceanic and atmospheric phenomena that impact life on Earth. Promote STEM education and retention of US– educated workers. Scientists and engineers are essential to US innovation and growth. The federal government must continue to promote policies that enhance the pipeline of STEM-educated workers into the US economy and that permit the retention of highly skilled foreign-born workers who have been educated at US colleges and universities. Further reduce barriers to international trade whenever possible. Increased international sales bolster the economy, assert US technological advancements, and reduce the need for the US Government to sustain the US space industrial base. Support for US space programs and industry means support for the US nation’s economy, security, leadership, and high-quality American jobs and businesses. 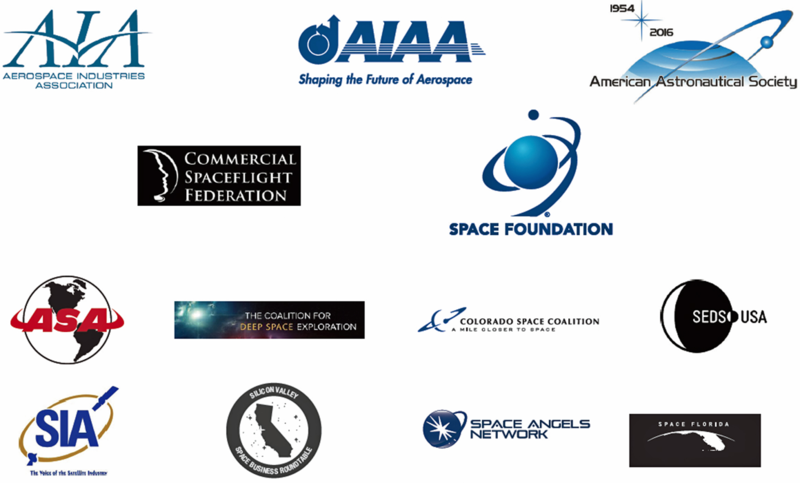 This article is repurposed, with permission, from the Space Foundation’s infosite and is courtesy of the contributing companies listed here.